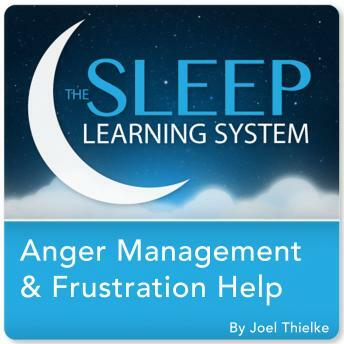 Control your anger and frustration, and create unlimited peace and calm with the Sleep Learning System’s “Anger Management and Frustration Help Guided Meditation and Affirmations”, from certified hypnotherapist, Joel Thielke. It’s as easy as turning on the track and falling asleep! You’ll feel well rested and energized when you wake up, and with every time you listen, you will find it easier to control anger and frustration and a sense of peace and calm at any time you need it. Joel Thielke’s guided mediation system gives you positive suggestions that will help you find healthier outlets for frustration. You will learn the tools you need to control your anger in a healthy way. The special Sleep Induction will gently guide you into your REM stage of sleep, working with your subconscious to make lasting change that you can see. Take control of your anger and frustration and learn how to create inner peace and calm on command. Let your subconscious do the work for you while you sleep!